Sponsored post by World Market. All opinions expressed are my own. 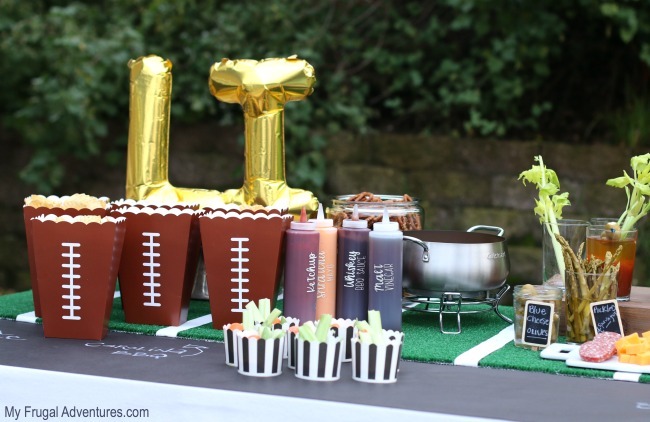 My parents have been known for years and years for amazing Game Day parties and this year the torch has been passed down to us – big shoes to fill my friends! 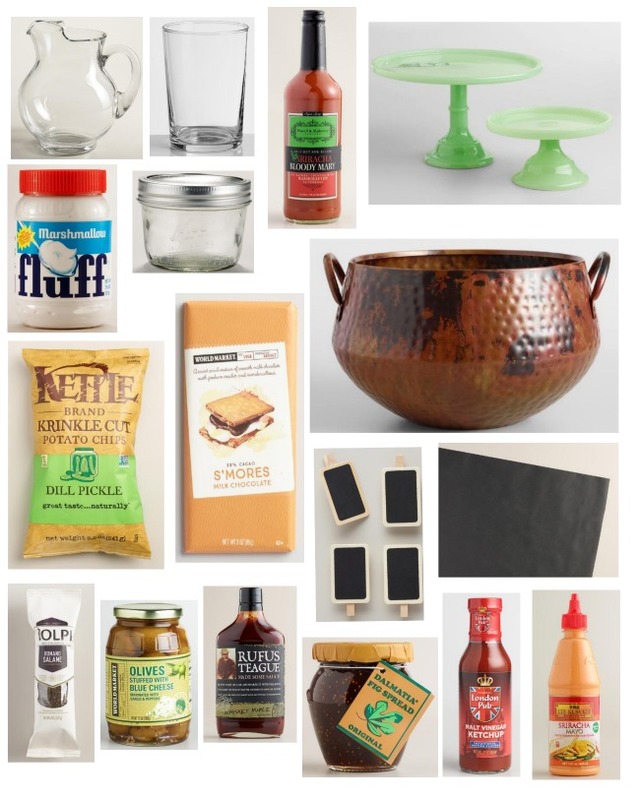 I was very excited for the opportunity to partner with World Market on this party. We all know World Market has lovely home decor, but did you know they have tons and tons of delicious food items as well? I went a little crazy grabbing up unique and delicious ingredients for our party and I can’t wait to share with you what I found. 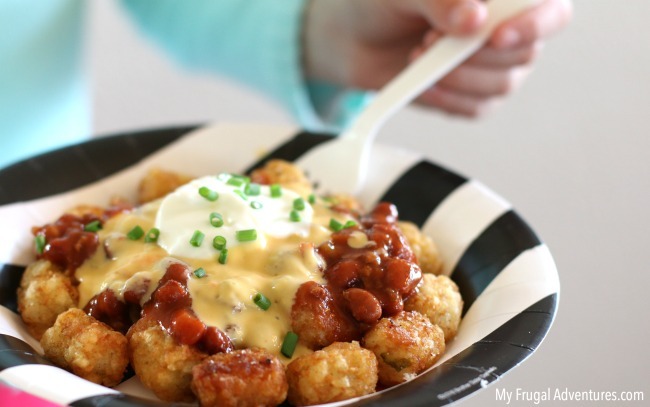 I wanted something a little different for the main entree for the party- comfort food yes, decadent yes and something fun so I came up with the idea of creating a Totchos bar. What are totchos? Well my friend they are tater tots dressed up like nachos. Oh yes. So good! We baked huge trays of tater tots and I found all sorts of seasoning dips and sauces at World Market to allow our guests to customize their Totchos. 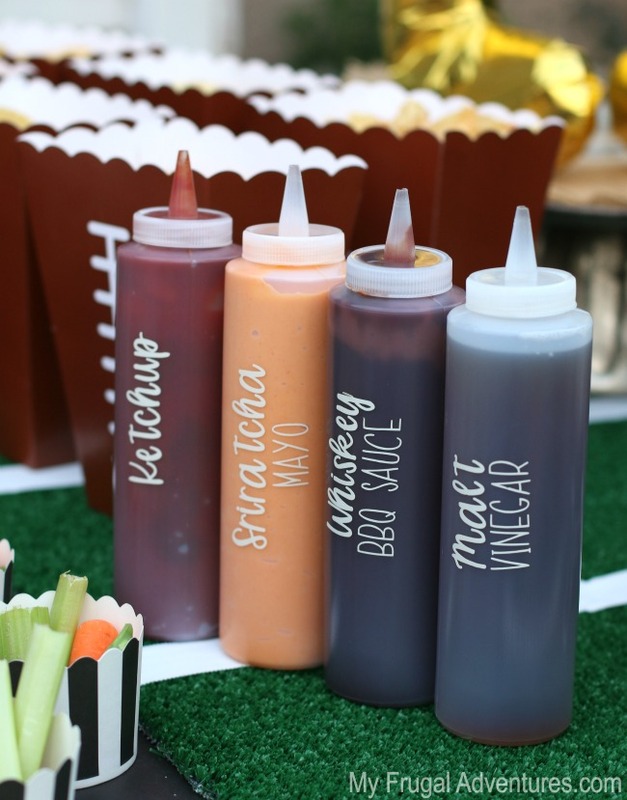 I started by making a chili cheese dip and then found these squeeze bottles from World Market to hold some fun sauces- Sriratcha Mayo, Malt Vinegar, Whiskey BBQ Sauce and a gourmet Malt Vinegar Ketchup. 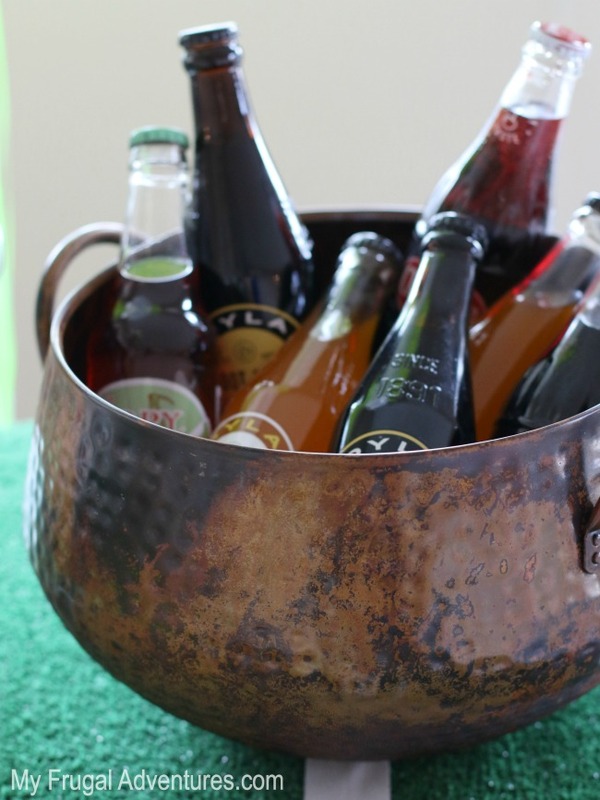 Next up I found fun vintage sodas at World Market at placed them in this lovely hammered copper ice bucket. I love this so much I think I might place a throw inside or some magazines to keep by the couch in lieu of a basket. I also found highball glasses and delicious Bloody Mary mix at World Market. 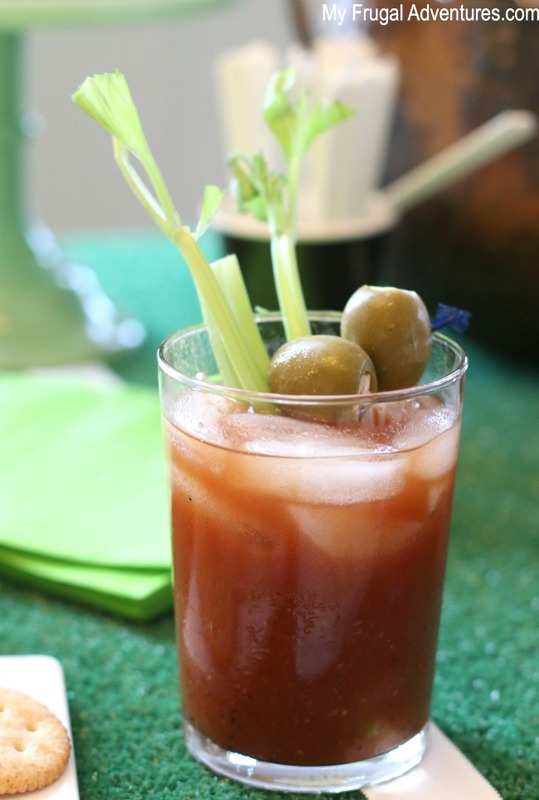 Bloody Mary’s are fantastic for an afternoon cocktail and happen to be my favorite. I topped with celery and blue cheese stuffed olives found at World Market. Yum! If this isn’t your favorite cocktail, there are tons of Drink Mixes that are available to create your own custom drink. And for a healthy snacks I love things people can grab and take with them. I actually had some paper products tucked away from Halloween that are black and white- perfect to look like a referee uniform. I layered hummus at the bottom and filled with snap peas, celery and carrots. Bell peppers, broccoli- really any veggies you have on hand would be fantastic. 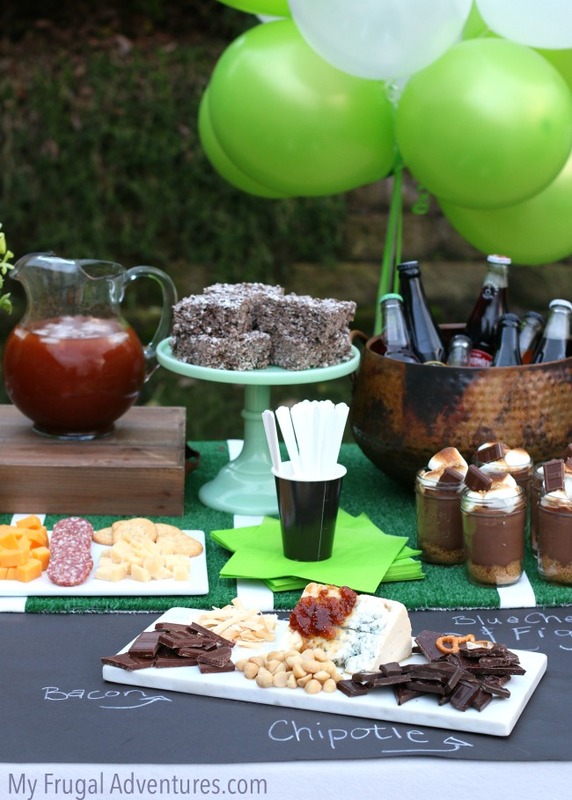 Another one of my favorite touches was a dessert cheese board. So yummy! 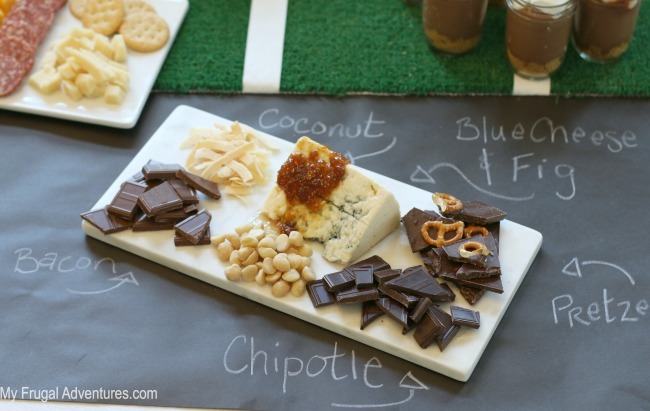 I found some fun gourmet chocolate bars at World Market and placed them out for people to try plus some dried coconut, macadamia nuts, a wedge of blue cheese and the most delicious fig spread on top. And did I mention the tablecloth? I used a plain white tablecloth and found some cool chalkboard wrapping paper to use as a runner. I like the black of the paper plus it makes an easy way to label everything for your guests without a lot of fuss. 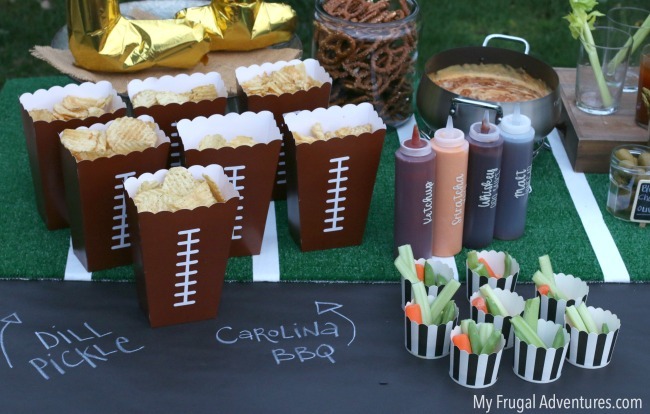 I filled these fun football cups up with some of the gourmet potato chips from World Market- Dill Pickle Kettle Chips and Carolina BBQ are favorites around here. Again the chalkboard paper is handy to label things for guests to get exactly what they want. For dessert I had the chocolate and cheese plate, plus some Rice Krispies treats on a pretty jade pedestal from World Market and I made these delicious S’Mores cups. These were really fast to make and absolutely delicious. 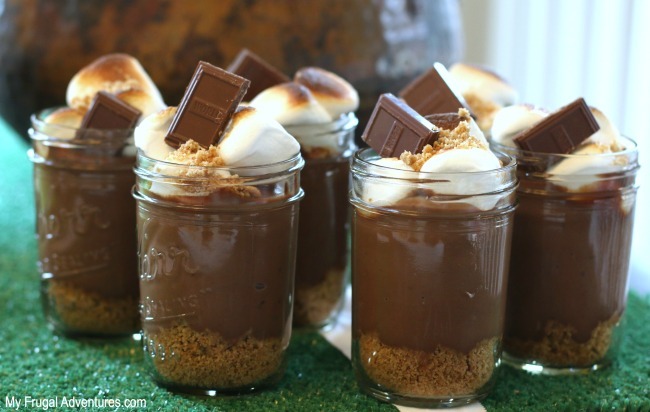 Basically a graham cracker crust topped with rich chocolate pudding (click here for the recipe) and thick marshmallows on top. 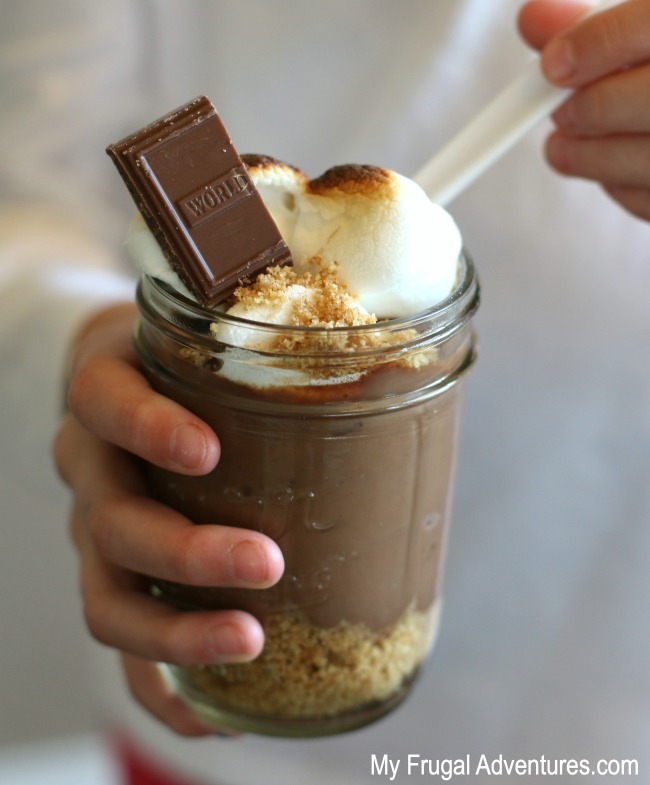 Place under the broiler to melt the marshmallows and I added a bit of a S’mores chocolate bar on top. You could layer with Marshmallow Fluff from World Market as an alternative and maybe try fun cookies like Shortbread instead of the graham crackers. 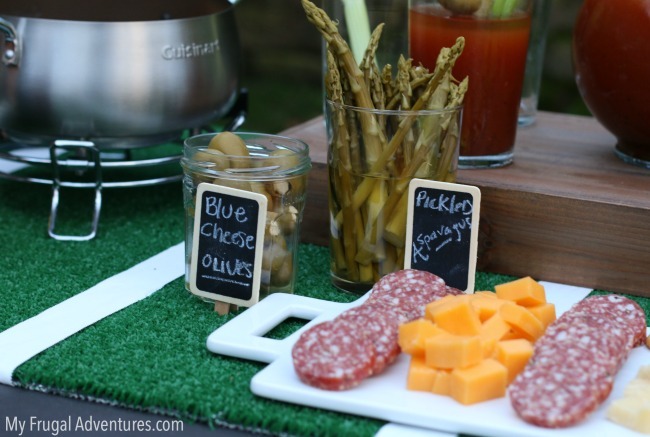 One last detail- I used some chalkboard gift tags from the gift wrap section to create labels for pickled asparagus and some olives. World Market does have delicious dried salami which makes a great snack with cheese and crackers. 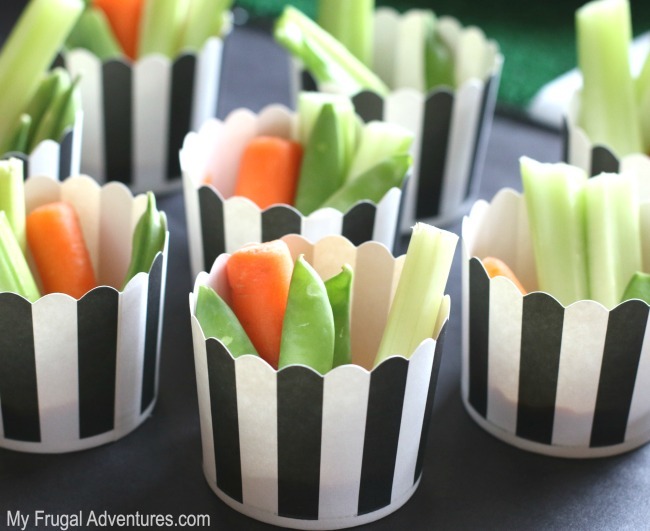 I find this a less messy alternative to chips and dips to leave on the table around the TV. 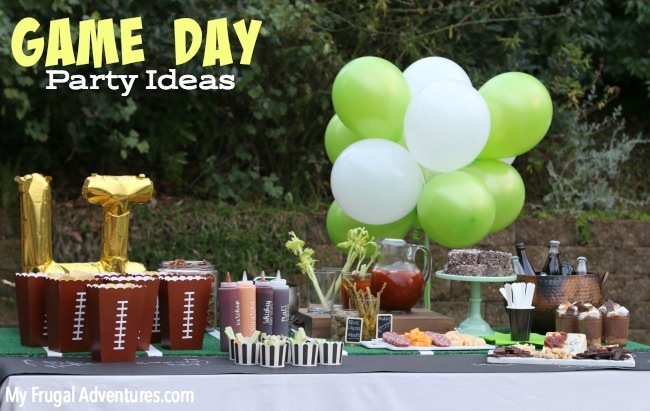 I hope this inspires you to create am amazing spread for your own Game Day parties. I’d love to hear what you have planned! 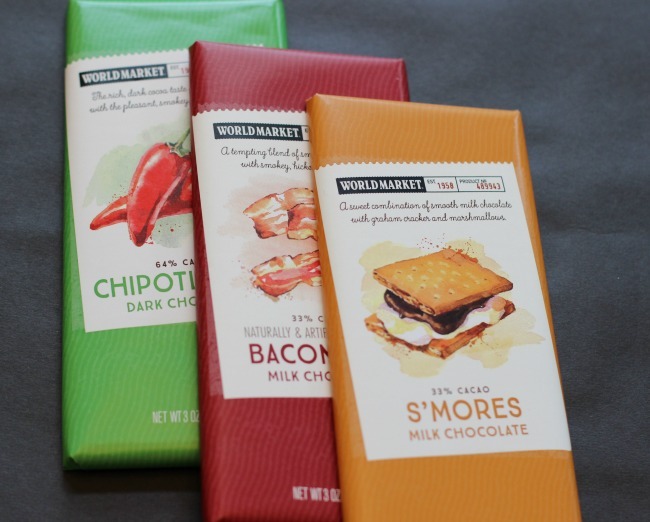 *Thank you to World Market for sponsoring this post! All opinions expressed are my own. What a nice comment- thanks so much Christina!